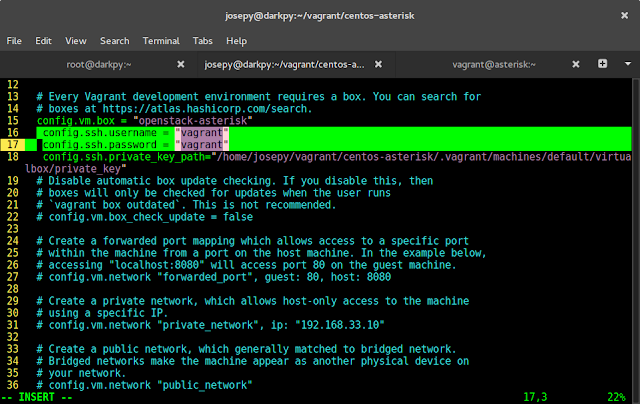 This will guide you on packaging existing environments to use with Vagrant, replacing the shared disk with a new box file. These box files can make managing virtual machines and different versions of these virtual machines vastly simpler, especially, if you don’t want to build environments from base boxes every time. 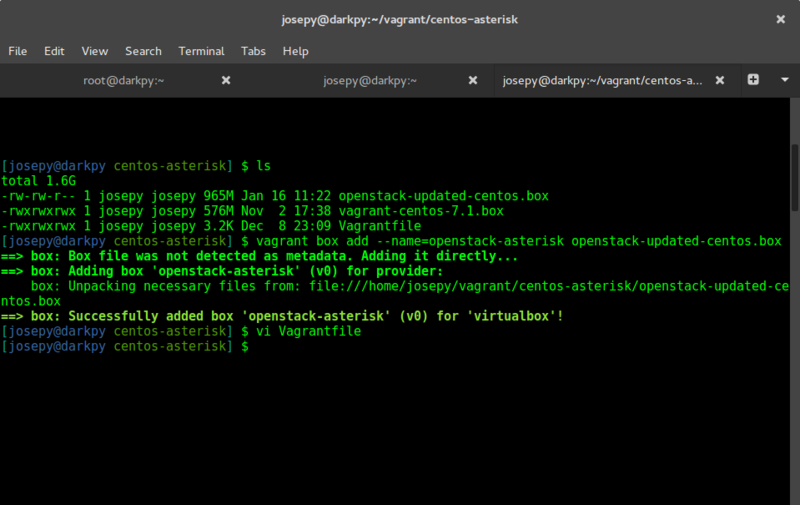 In this example, I’ll use an existing Virtual Machine Environment build with Oracle Virtualbox where I’ll choose an existing environment based on the CentOS 7 operating system that has been created as a VirtualBox machine, the name of the Virtual Machine is openstack-controller shown in the screenshot below. 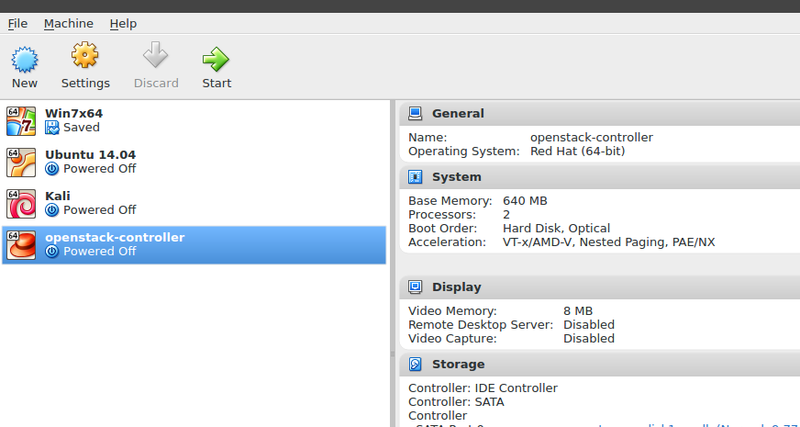 NOTE: My Existing virtual machine has ssh installed and configured. Before packaging your Virtual Machine, make sure you have an installed ssh. Check the presence of the Virtual Machine you want to package with ls command. Now package and export the Virtual machine. After the box has been packaged successfully, we should create a folder to house vagrant environment. Then import the box into your environment. 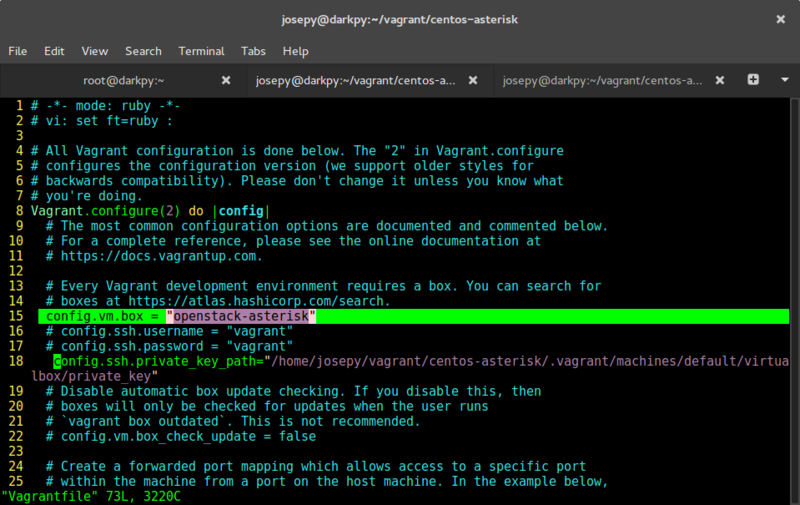 This command will copy the box to your local Vagrant cache, so you are now ready to directly use the box. 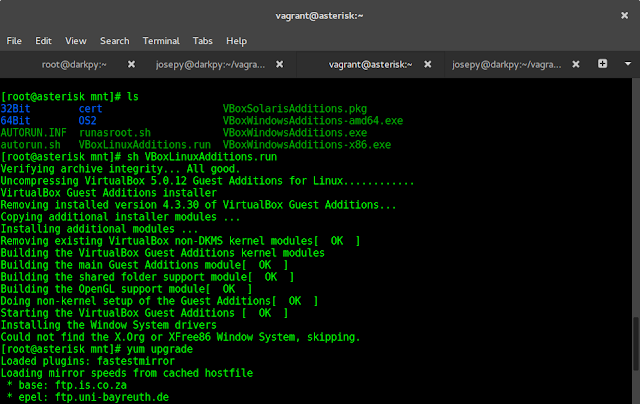 Edit the box name in Vagrantfile to match one added above. Mine is openstack-asterisk. 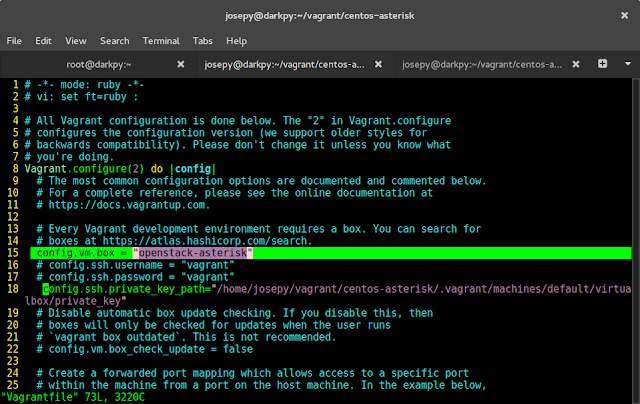 Then Edit config.vm.box on line 15.See screenshot below. You should now be able to ssh into it. config.ssh.username = "username" config.ssh.password = " password"
Then after a persisting retrying to login problem start, hit CTL+C to cancel. 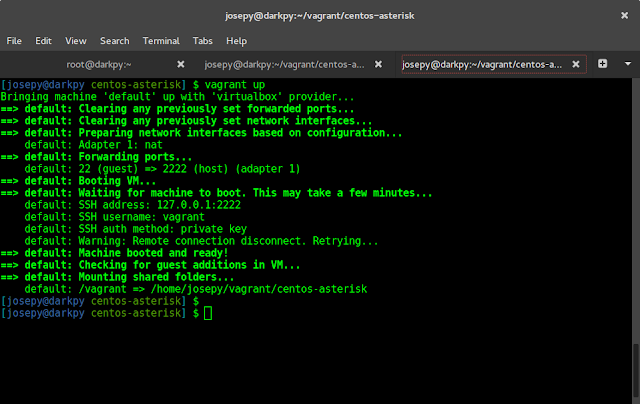 This will keep Vagrant Virtual Machine running on background. Now, generate ssh keys and note its storage location. You’ll get output similar to one below. Replace the path with yours.Next thing we’ll do is update VirtualBox Guest additions on the guest. 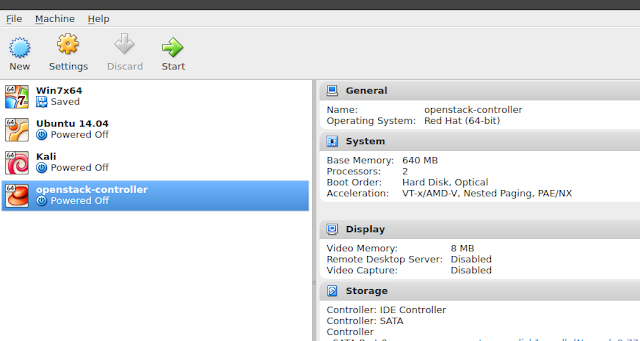 On virtualbox menu go to File > Virtual Media Manager > Optical Disks. You should see VBoxGuestAdditions iso file. If it doesn’t exixt, download it first. I will copy above iso to the guest os. Follow steps below to achieve it. 1) Make sure the Guest OS is running and SSH server is installed and running as well. 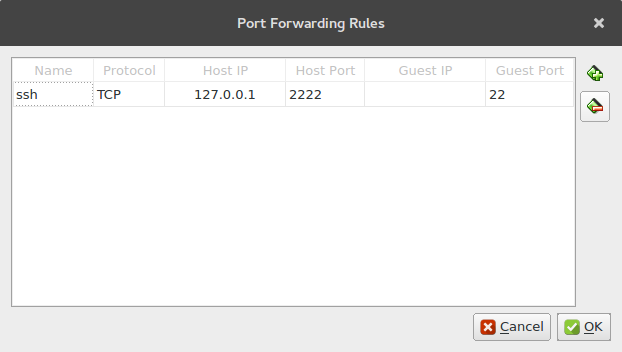 2) If you’re not on local network, do port forwarding under networking option on VirtualBox Guest OS settings menu. VirtualBox > centos-asterisk > Settings > Network > Adapter 1 > Port Forwarding. Add rule if it doesn’t exist by clicking on + sign with following specifications. 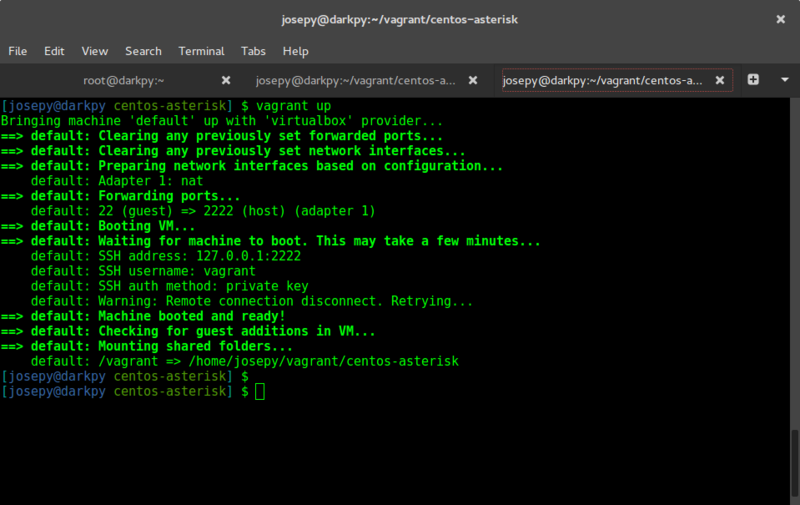 You should now have a working Vagrant environment. That’s all, thanks for reading. Hope this article was of help to you. If you encounter any problem/error, let me know by dropping it on Comments section. Vagrant quick Virtual Machone environment creation.